Teaching in a remote area of northern India presents its share of challenges – from power outages to slow-to-change local attitudes about education. 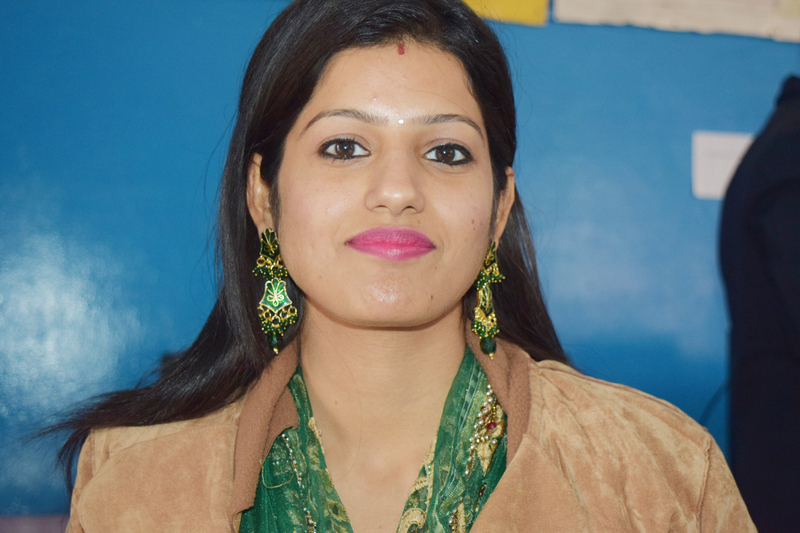 In the face of these challenges, Poonam Dogra has embraced new teaching approaches and technology, and her students – and fellow teachers — are reaping the rewards. At Rayat International School, where she wears a number of hats, Dogra is using project-based learning to connect her students to the bigger world, organizing virtual field trips, helping them to participate in programs like Hour of Code, and pairing them with a classroom in New Zealand to explore international law. Even her Expert Educator learning activity, a workshop to teach basic Microsoft skills for everyday life, demonstrates her enthusiasm for creating positive change in her community. Dogra actively encourages innovation throughout the school, and that spirit of invention has helped make Rayat International a Microsoft Showcase School. “The capacity to innovate, the ability to solve problems creatively or bring new possibilities to life, and skills like critical thinking, communication and collaboration are part of my international collaborative projects and are critical to the overall development of child,” she says. Dogra not only spearheads creative learning activities, she writes about them on her blog, sharing them with fellow educators around the globe. Her enthusiasm for collaboration will serve her well as a 2015 Microsoft Innovative Educator Expert, and she’s anxious to trade best practices with her peers. Enjoy today’s Daily Edventure with Poonam Dogra. My parents have always motivated me to do more, and I owe this credit to my parents who have always been a strong wall behind me to give support in any situation. Every day is a new dawn. In today’s life, every new circumstance teaches us some lesson that becomes an epic for one’s life. I am lucky to work in Rayat International School, a Microsoft Showcase School. I always work on 21st century learning skills for the holistic development of the child. I organize Skype sessions to discuss various environmental health issues like air pollution, noise pollution, etc. I believe that students’ creativity, hard work and spirit to learn, combined with activity-based learning, shape their careers and guide them to achieve their goals. I organize and handle international collaborative online projects with different countries. These projects are blended with studies, which help the students think, imagine, explore and learn beyond boundaries. They also raise their horizon to innovate, create and learn, compare and comprehend, and develop a sense of responsibility and respect for regional and religious diversities. This makes me proud. Above all, the proudest moment ever in my life is when I became Microsoft Innovative Expert Educator 2015 and got a certificate signed by Mr. Anthony Salcito, and my parents felt proud of me for that. They were really happy with this achievement. ICT and teaching are blended in the classroom. Moreover, students’ learning has a long-lasting impact through technology. My main aim is to uncover knowledge, to see that outlook, to study those things which are not in books, to look beyond the world. We live in a rural area of northern India. Many people that my students, colleagues and I have to interact with daily have mindsets that are very resistant to change. Those attitudes present barriers to becoming the global educator I want to be, and what I aspire for my students to be. Daily we struggle with unexpected electricity outages and a lack of support for what we wish to accomplish as a teacher or student. To connect globally, we have also difficulty with languages and time zones. “Technology provides even the quietest student a voice.” I always try to give my students the spirit to pass through the barriers without breaking them, i.e., helping them imbibe education and technology to give them the 3D-effect of learning. I always provide the student new opportunities to learn and explore, giving space where understanding and knowledge have no boundaries. With wings, one flies higher and higher toward success. Website I check every day: Facebook, Twitter, News Radar, Microsoft Educator Network, my blog, Bing in the Classroom, Edutopia, bie.org, etc. Favorite childhood memory: When I came home from my school and college, my mother would always have a glass of water and meal ready. Favorite book: The Truth Retold for Joyous Living by R. P. Lao. Favorite Microsoft product, tool, technology: Sway, Office Mix, Skype, OneDrive, Office 365, OneNote. What is the best advice you have ever received? Even though you reached the peak, always keep your feet on the ground… this will help you step up high. This entry was posted in Accessibility, People, Project Based Learning and tagged India, Poonam Dogra, Rayat International School, Ropar. Bookmark the permalink.